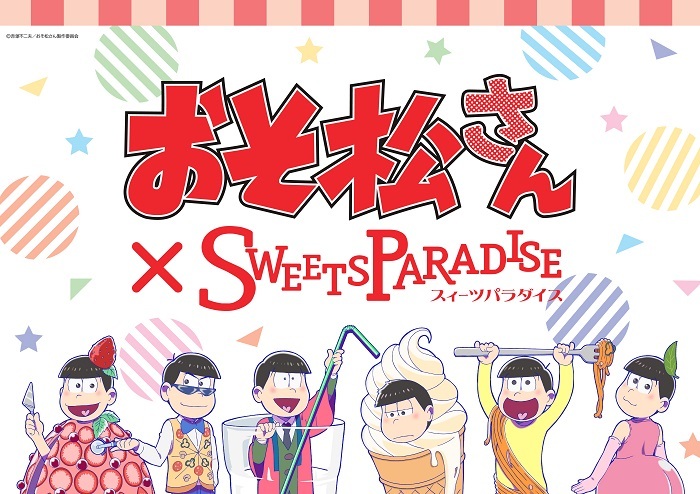 So this collab was my first occasion to go to Sweets Paradise, but let me tell you I want to go again and again because other than the awkwardness of being alone in the center of the restaurant, it was a great experience. I actually enjoyed it so much that I shelled out the 2,180 yen to get the collab menu twice. 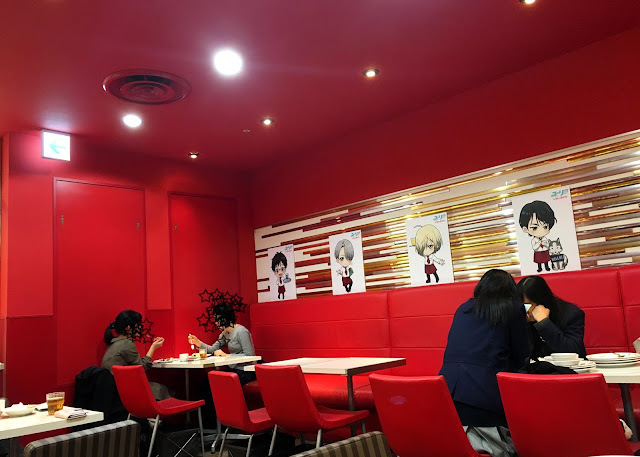 This is definitely one of the more sparsely decorated cafes I have been too, but probably because the collaboration function comes second to the restaurant’s actual function. So since this was my first experience at Sweets Paradise, I had no idea how anything at all worked. Sweets Paradise is a dessert buffet. 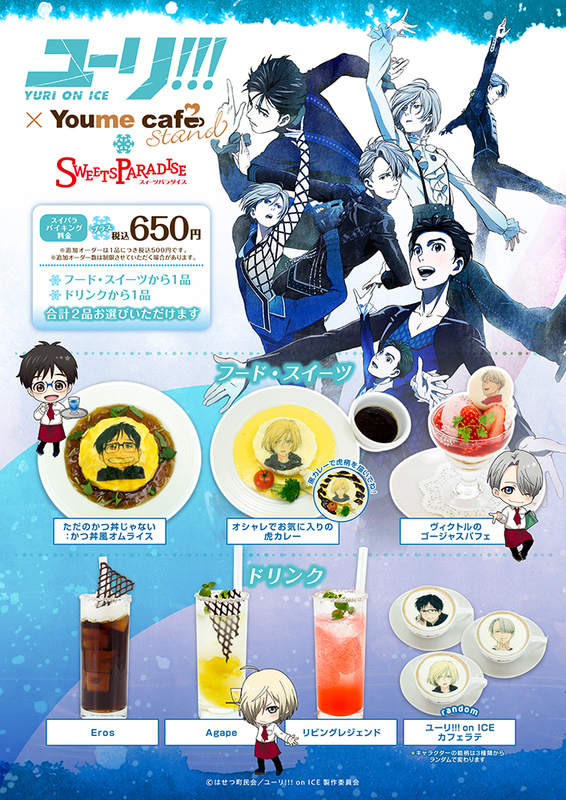 If you order the special 2,180 yen collab menu, you can choose one of the special collab food items and one of the drinks. They call it a course menu, but it’s really a food and drink set. 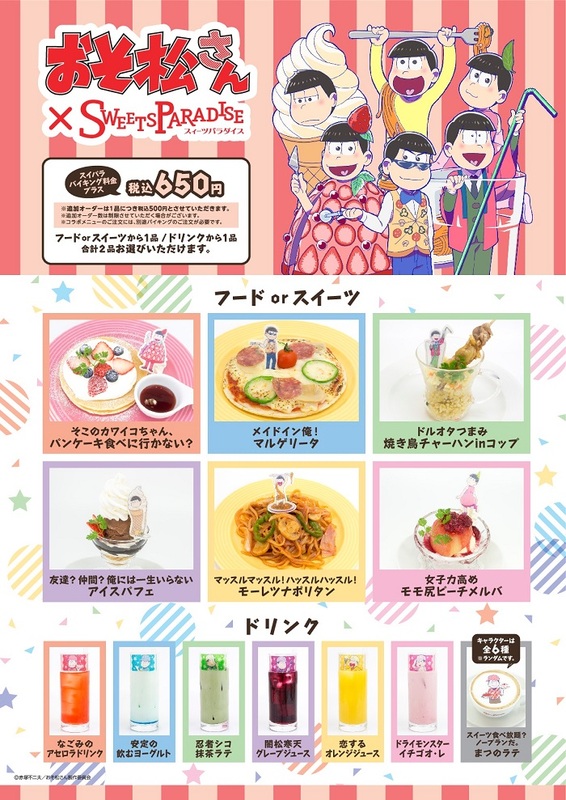 So when I saw this I completely misread what the menu meant because in my mind I did not count the parfait as a food item but it was. 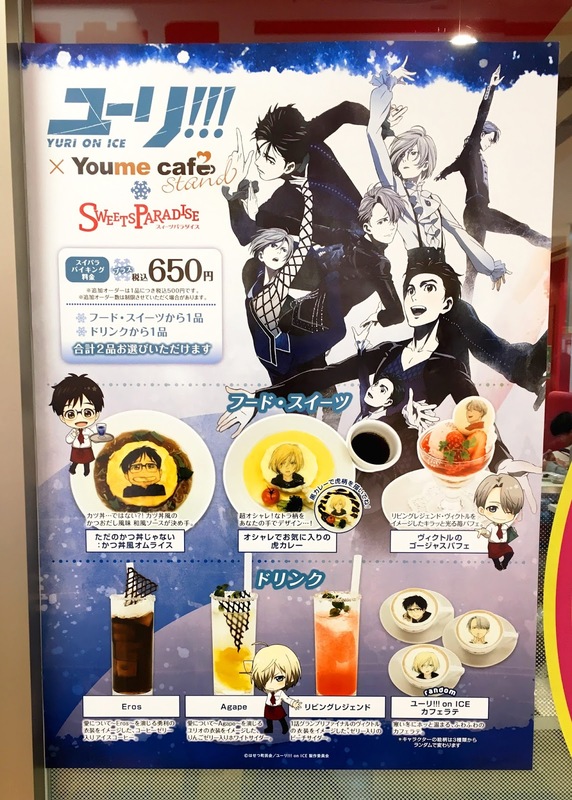 I also thought that the character coffee drinks were served with the dessert course for some reason, meaning I thought that you were getting a total of 4 collab food items. This was not the case. Oops. Since I went twice, I got 2 different sets of collab menu items. So my first trip I walked up to the restaurant and circled it a few times like an awkward bird circling its prey. I tend to do this when I am not very confident about what to do, which is pretty often, it usually helps with calming me down and doing the same thing I would have done if I did not suffer from anxiety. If I don’t understand how something works or know what I want, this is what I do. It makes me feel extremely awkward because I stand out so much in Japan, but whatever, it gets the job done. So it was super embarrassing when the waitress walked up to me and handed me a pink drink called the “living legend.” While I was embarrassed by the process of receiving my drink, I will say that this is the best anime drink I have had yet. The flavors were complex and it did not just taste like a sports drink with some color/flavor thrown in it, and it was super classy. They put gold leaf on the mint, the put sugar on the trim with silver pearls, and I’m pretty sure it had rose flavoring. Come on, how much classier can you get? When I think of a flavor profile for Victor, I think of roses and champagne, and this drink was perfect for it. 100/10, would gladly drink again. This curry was not the worst thing I ever had, but it was far from the best, or even the best curry I had at that restaurant for that matter. 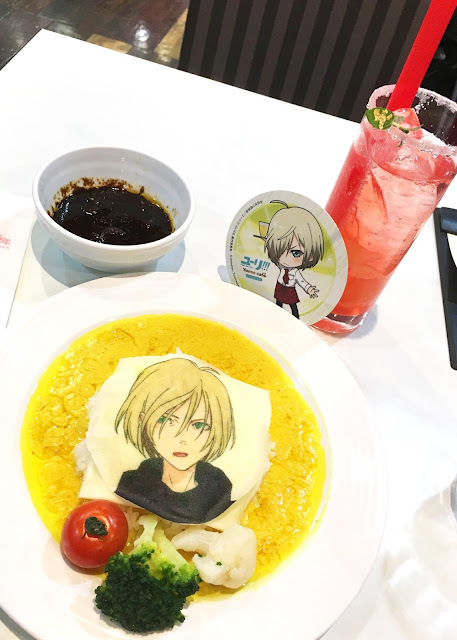 Yurio was printed on a piece of cheese, which we might think of has an unusual combo but it is actually pretty common in Japan. I understand why they designed it that way, but I was not very impressed by it. So when I went back for the second time, it was also on a Saturday, coincidentally exactly a week after my first trip. The same woman was working the front desk and she was like “Do you want the collab menu again?” And I said “yes,” as shamelessly as I possible could. 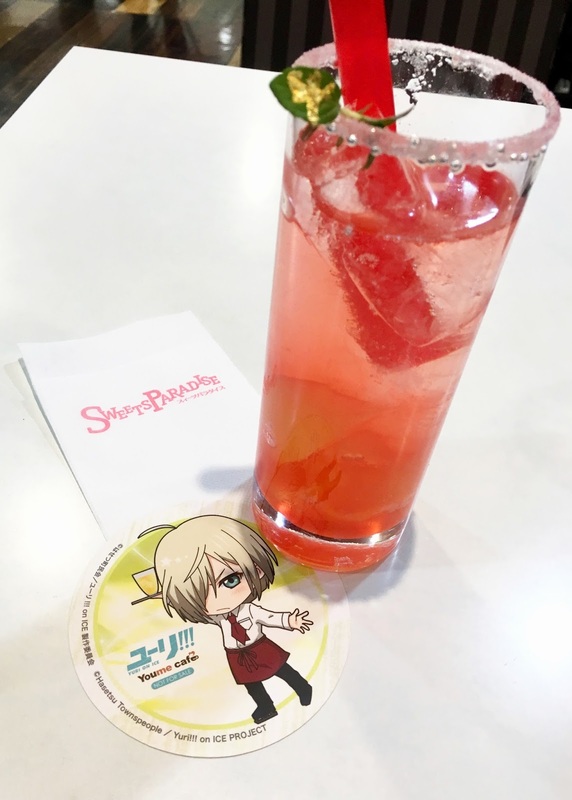 So this drink mostly just tasted like soda water with a tiny concentration of fruit syrup, but I think that was just a mistake on their part while making it. It was still really classy looking, but to be honest the chocolate decoration did not really pair well with the rest of the drink. So this would have been excellent had the corn flakes at the bottom not tasted a bit stale. Other than that I thought it had good flavors, a cute design, and nice mixture of textures. I know that it is typical for wait staff to say the names of the food you ordered when you are seated but it still shocks me when I hear it. 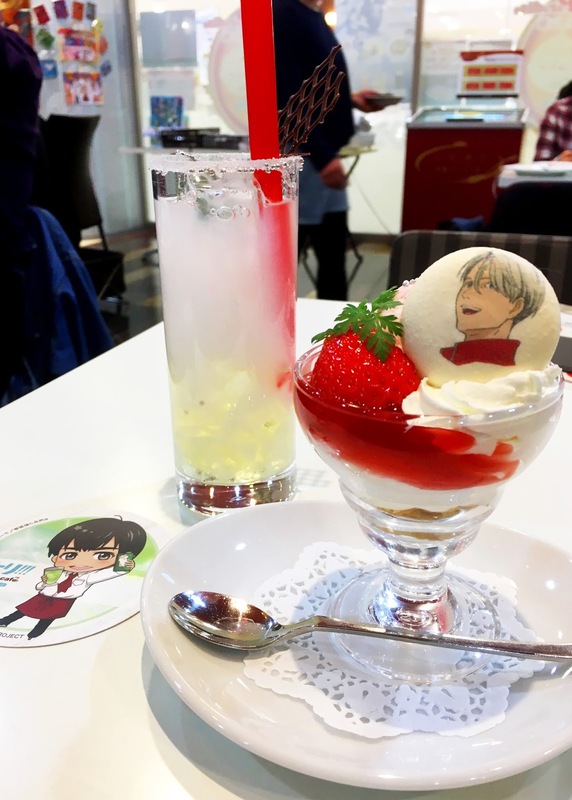 When I ordered the “Living Legend” drink from the Yuri!!! 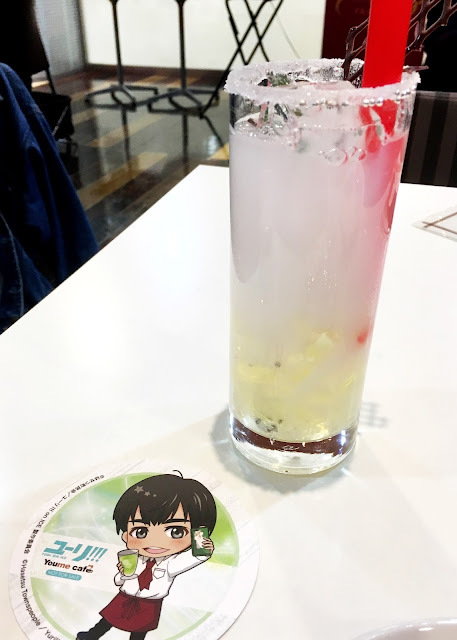 on Ice collab and the perky waitress brought it out to me, knelt down to my seated height, looked me in the eyes and said she had my “Living Legend drink.” A part of my soul died in embarrassment. 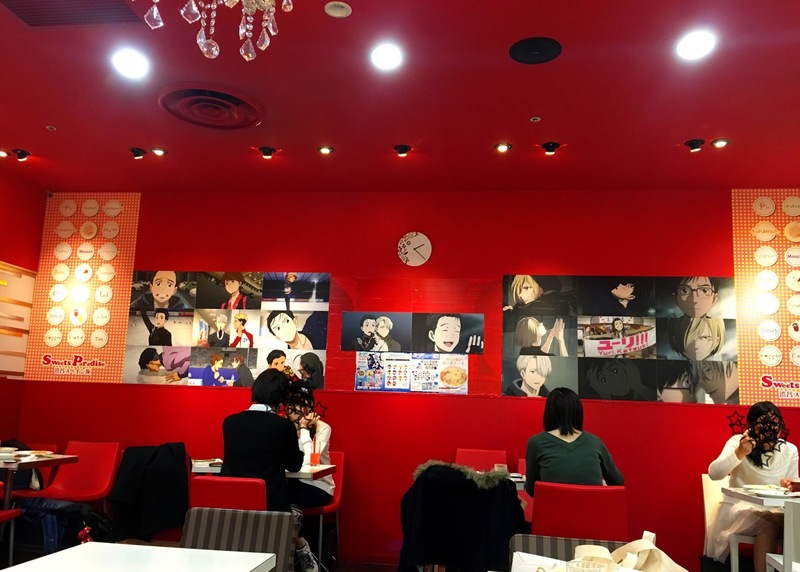 The second time I went to the Yuri!! on Ice collab I decided my drink order based on if I would be able to stand someone staring me in the eyes and saying they had my “eros drink.” I calculated that about 89% of my soul would have died, so I went with the “agape” instead. 0% of my soul died when it was delivered. 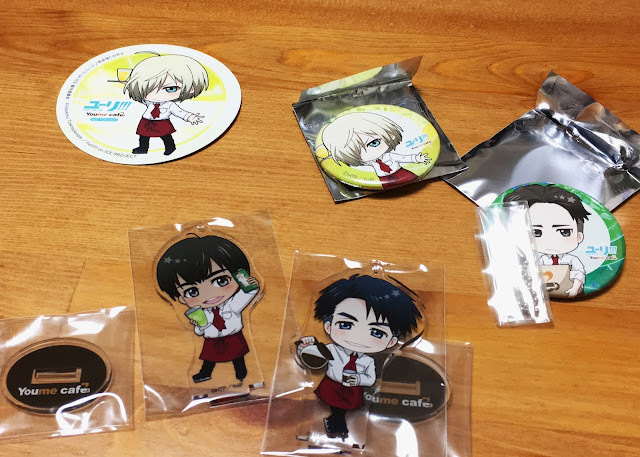 So for the buttons I got Yurio and Otabek, aka someone’s OTP. 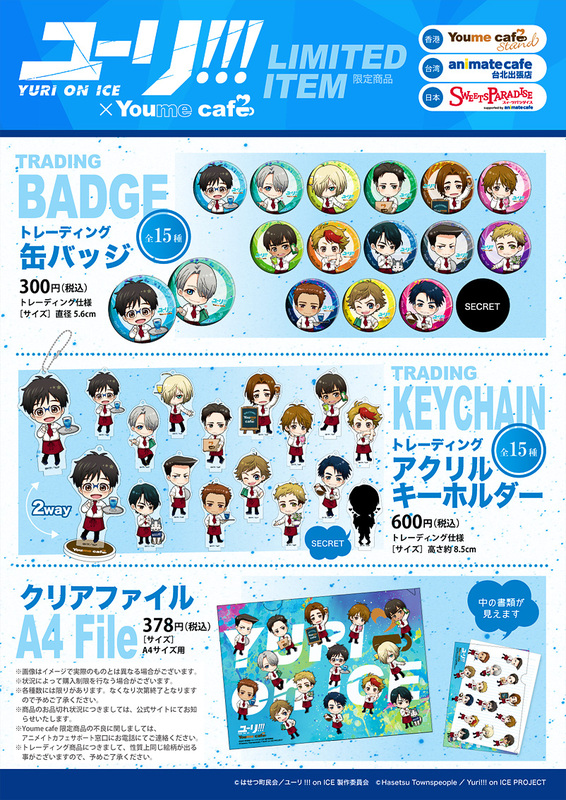 The standy/keychains were JJ and Phichit. I was really only excited about my boy Yurio. I was a bit more lucky the second time. I got a Phichit button and the super special rare secret merch, which is Victor holding two of the Yuri keychains with heart eyes. Absolutely darling. 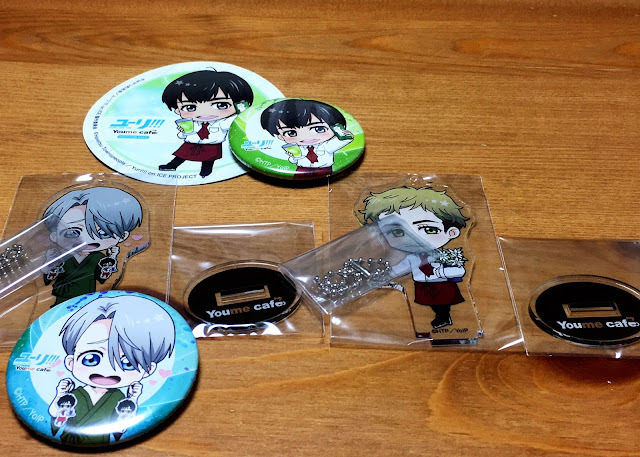 For the standees/keychains, I got the super secret special rare Victor heart eyes holding two Yuri keychains, again! I also got Christophe standees but who cares about him. So far Sweets Paradise has had the best tasting collab food that I have eaten, and the merch was really cute. The decorations weren’t that overwhelming, but it was fine. 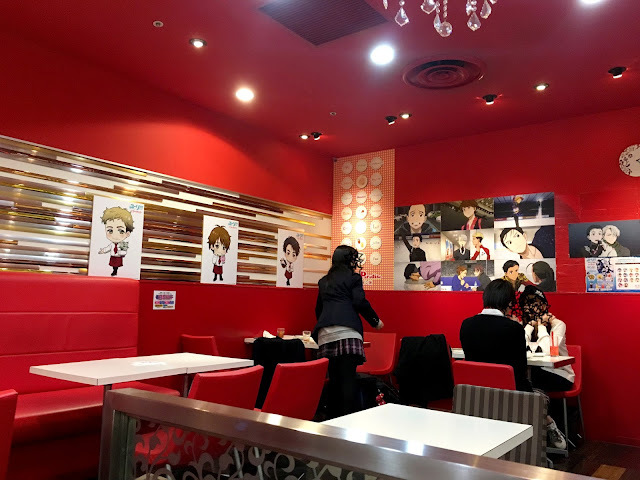 It was a bit on the pricy side, with a flat rate of 2,180 yen a trip, but it helped that there was unlimited cake that you could dig into afterwards. Overall, I would give this experience a 9/10. 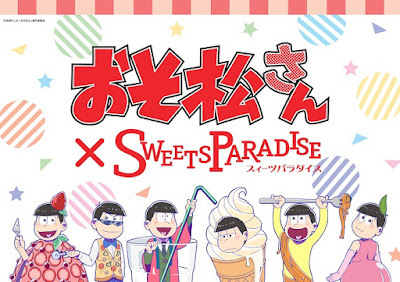 What's Next at Sweets Paradise? They’re starting an Osomatsu collab in March and some of the food for that looks really appetizing, but I’m not so much into buying Osomatsu merch so I may or may not go. Maybe if it’s convenient, but I don’t plan on making a trip to Utsunomiya or anywhere else just for this collab. 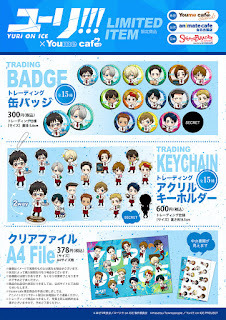 The shop list and dates can be found here.